Ad-agencies are finding it more and more difficult today to get through to the average consumer, and marketing saturation only grows with every year. It’s for that reason that guerrilla ad-campaigns are becoming so prevalent in the industry. Here we take a look at some of the recent, most effective and ingeniously simple guerrilla marketing found since our 8-part series last year. 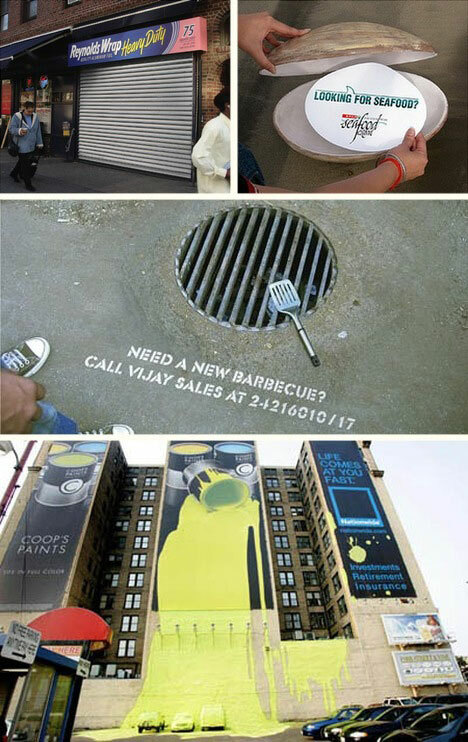 It doesn’t take much to get a reaction from people when it comes to guerrilla marketing. Above we see how sandal-maker Havianes used the vibrant colors of their own products to catch eyes in Paris. 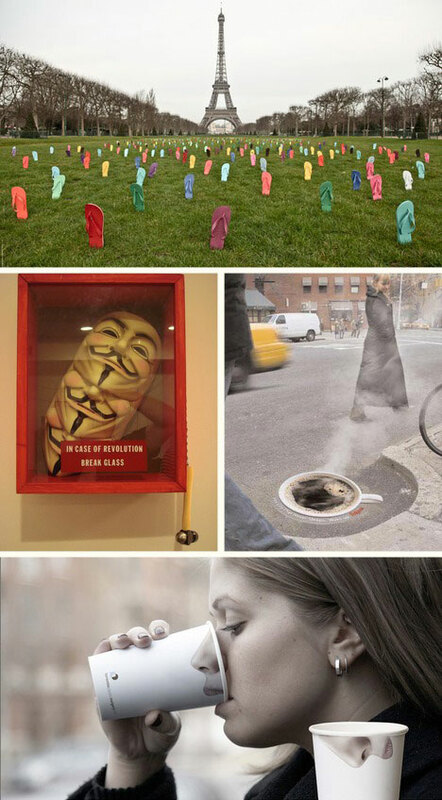 Cleverly placed prop-replicas from V For Vendetta caused thought-provoking pause in the step of passers-by, and coffee-giant Folgers had the bright idea to use a manhole in New York to remind city-goers just how good a steaming cup of coffee can look in the morning. Meanwhile, an adventurous plastic surgeon found success in a local coffeehouse. Many public-awareness campaigns are using guerrilla tactics in their ads. Here we see smoking targeted in a Cancer ad giving us a glimpse of our early demise. 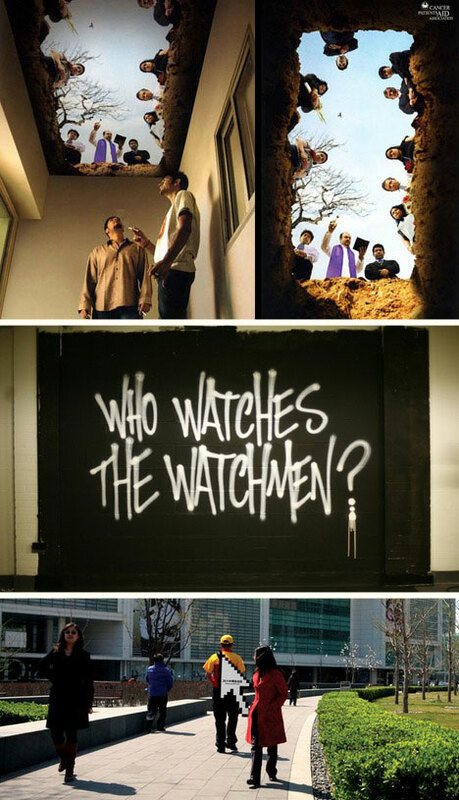 Cities around the globe began spotting graffiti referring to the then-upcoming Watchmen movie, in a bold move that not only mimicked the film and its graphic-novel predecessor, but also made viewers think a little more politically. DHL took the comedic route in a fun global stunt that showcased their package tracking, by placing large pixelated mouse-pointers on their couriers. Reynolds Wrap had a great idea for inner-cities with their wrapping of storefronts campaign; it was nearly impossible to walk by and not notice the familiar household item now super-sized. Beach-goers were surprised to find enormous clams scattered about, only to then find an advert for a local eatery sealed inside them. An Indian BBQ seller got creative with street-drains, while Nationwide Insurance got friendly with a paint company, and created a hilarious, building-sized ad that was absolutely impossible to miss. It really is the simple things that are most overlooked, unless they’re guerrilla. 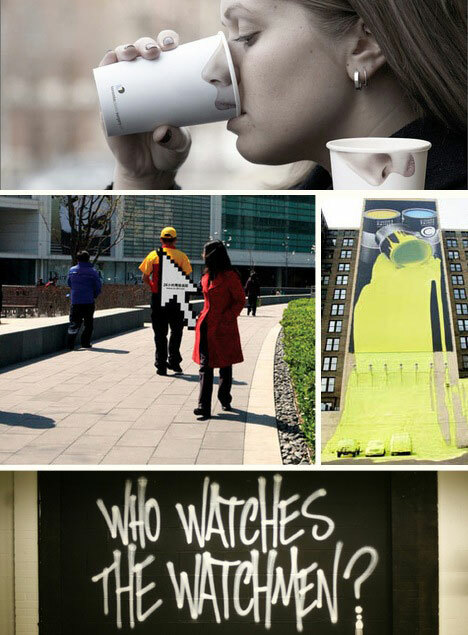 Guerrilla marketing somtimes = strategic marketing. Newer PostSendside Salesforce Appexchange 5 Star Review.